“The English are already trembling” read the headline in the German newspaper Bild, just hours after it became clear that Felix Magath, a three times Bundesliga-winning coach also known as the toughest of disciplinarians, had been appointed as the new manager of Fulham. Dimitar Berbatov will be overjoyed that he got out of the club when he did. For the languorous Bulgarian striker – now lounging next to the bluest sea in some sunny neighbourhood of Monaco, occasionally having a kickabout with Falcao – Magath is the pure embodiment of his worst nightmare. The German replaces the unfortunate Rene Meulensteen, a widely acclaimed coach who appears bizarrely preordained never to ever quite make it work as a manager. Sir Alex Ferguson’s former accomplice at Manchester United, Meulensteen lasted just 16 days in his first job at that most peculiar of Russian clubs, Anzhi Makhachkala. Now, after securing just 10 points from 13 league fixtures with Fulham and leading the club perilously close to relegation, he has been shown the door. He was in charge for just 75 days. Meulensteen accuses the club of losing their nerve, an understandable criticism considering the £11 million the board permitted the Dutchman to spend on Konstantinos Mitroglou during the January transfer window. It is unlikely too that former Manchester United hopefuls Ryan Tunnicliffe and Larnell Cole would have made the move to Craven Cottage had they known that their former coach at Old Trafford wouldn’t even make it into March as their manager. Magath, who has been out of work since leaving Wolfsburg in 2012, was due to agree to a second managerial stint at Hamburg, but changed his mind after being offered full control at Fulham. The new manager has already, rather unceremoniously, fired recently appointed Director of Football Alan Curbishley and Assistant Coach Ray Wilkins from Craven Cottage. This will be Magath’s first managerial job away from Germany, the country where he has plied his trade for his entire career. 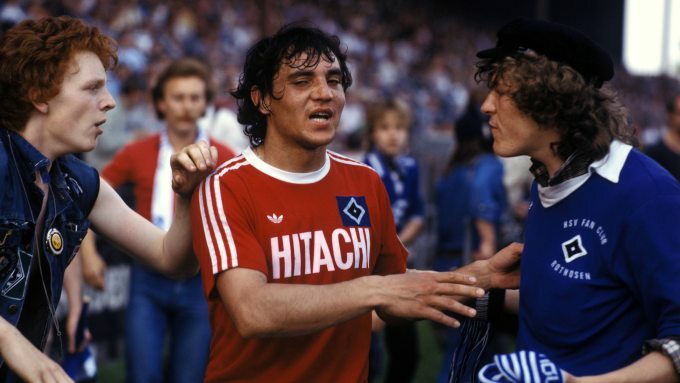 A top quality attacking midfielder, he scored 46 goals for Hamburg – including the winner in the 1983 European Cup final against Juventus – during a ten year spell at the club. He also won 43 caps for the West German national team. Yet it is as a manager that Magath has mostly made his name. He has won the Bundesliga title three times, twice with Bayern Munich and then once with Wolfsburg in 2009, but also possesses a proven track record of reversing the fortunes of teams struggling at the lower end of their respective tables. At Werder Bremen, Frankfurt and Stuggart, amongst others, he has successfully transformed under-achieving, relegation flirting seasons into campaigns of relatively comfortable safety. Perhaps his most famous escape act occurred at Stuggart in 2000/01, when he successfully avoided relegation by three points despite only having taken control in February, with the club languishing in 19th place. Magath’s tried, extremely well-tested and rather successful methodology has been built on an uncompromising emphasis on fitness and endurance. His is a regime of medicine balls and endless sprinting drills, of torturous boot camps in obscure mountain ranges and intensely strict punishments for the slightest signs of slacking. And running – lots and lots of running. Fans watching their side mired in the midst of a bitter relegation dogfight can typically ask for little more than full, unadulterated effort from their struggling players. In this respect, Fulham fans – who have been subjected to the languid strolling of the likes of Berbatov and Adel Taarabt in recent seasons – can expect to see a remarkable reversal in their players’ application levels. Magath has a track record of turning things around, yet his players have rarely ended up loving him for it. In July 2008, for example, Brazilian striker Grafite collapsed midway through a trek through Australian Alps that Magath had spontaneously ordered his Wolfsburg squad to undertake. Magath demands his control to be absolute and his players’ discipline to be unfaltering. Jermaine Jones, a midfielder for Schalke when Magath was in charge, was banished to the reserve team after questioning his manager’s decision to play two holding midfielders. He is known for dishing out uncompromisingly harsh fines: €1,000 for an unnecessary back pass, €500 for letting a high ball bounce. At Wolfsburg, he fined Patrick Helmes €10,000 for failing to track back enough. The potential consequences of such a technique are clear. “This can lead to a short revival but in the long term it leads to disaster,” Hoeness explains. Magath is hated by a surprisingly large proportion of his former Munich squad – indeed, it must be rare for a team who have achieved such success to despise their manager to such an extent. And Hoeness’ assessment of Magath’s typical club tenure appears accurate – the fearsome disciplinarian has rarely made it far into a second season at a club. 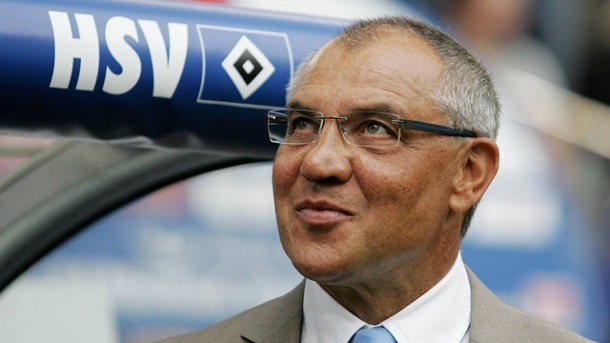 Fulham’s relegation fight could well benefit substantially from Magath’s dictatorial traits. This, after all, is a team containing Sascha Reither and Scott Parker, who were involved in a training ground bust up just last week. Yet Fulham will need more than improved fitness to ensure survival in the top flight this season. Heightened defensive organisation and a slicker attacking threat must both be found if they are to find a way of securing those precious points needed to stave off relegation. Whether Magath is capable of rescuing Fulham – a club which has sauntered through the last few Premier League seasons with seemingly very little ambition to make the next step up – remains to be seen. Whilst appointments such as Tony Pulis at Crystal Palace and Gus Poyet at Sunderland have improved the fortunes of relegation threatened teams this season, other decisions, such as Malky Mackay’s sacking in favour of the unproven Ole Gunnar Solskjaer, appear only to have further confused matters for a struggling club. Few within the Fulham hierarchy – or those in the Craven Cottage crowd – will be complaining if Magath succeeds in his goal of keeping Fulham in the Premier League. Whether the club persevere with ‘Saddam’ into 2014/15, though, will be a contentious issue. It seems highly likely that a few Fulham players at least will be hoping he doesn’t stick around for too long. Piers is a DreamTeam blogger. Follow him on Twitter @piersbarber18. This entry was posted in Analysis and opinion and tagged Alan Curbishley, felix magath, fulham, Konstantinos Mitroglou, Rene Meulensteen, Stuggart by Piers Barber. Bookmark the permalink.